Watch dolphins in Port Stephens blue waters. Port Stephens is the perfect place in Australia to observe dolphins in the wild. There are a full range of daily cruises, available at Port Stephens, including dolphin watching trips. Port Stephens is home to around 165 bottlenose dolphins, which live in the Port itself. If you are lucky you can view them from the shore or hire a boat. Alternatively, join a tour which takes you around the Port dolphin watching. The ecological balance in the bay is perfect for dolphins so you are almost guaranteed to see, and even swim with them if you take a cruise on one of the Nelson Bay based boats. Unsurprisingly, this area is known as the Dolphin capital of Australia and between 150 and 200 bottlenose dolphins live in the water off Nelson Bay and Port Stephens. 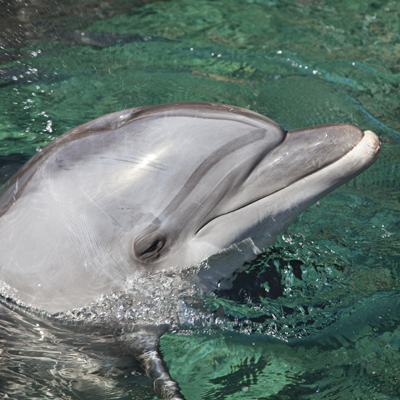 Feel the thrill of being up close to the wild dolphins of Port Stephens, home to over 150 bottlenose dolphins. Dolphins have the most complex behaviour in the animal world and are extremely intelligent animals. These factors make dolphins a marvel to watch. Experience a dophin watching tour and discover the diverse and unspoiled marine life at Port Stephens.